July 2011. I was sitting on the couch at my house waiting for the new season of Breaking Bad to begin. My wife was updating her Tea Blog she had started a few months earlier to help keep track of the unusual teas and blends she was doing. From time to time I thought about blogging or starting a website of some sort. I knew there were plenty of beer review sites and homebrew blogs out there, however most (with the exception of Mike’s) didn’t really cover sour/wild beer in depth. So I figured I would start a site to give tips on things I had learned, hopefully convert a few people to fans of these styles, dispel sour/wild beer myths and pass on some advice from the professional sour brewers I knew. Most of all just share with as many people as I could how great these styles can be. About a year later is when I got the chance to start and run a small program with my friend Linus who owns Yazoo. We’ve had a blast at the brewery creating some smaller batch funky beers for the area. Over the following months we grew the program in an upstairs corner of the brewery to house around 80 wood barrels, 40 volume barrels worth of stainless capacity, 8 barrels of bright tank and a bottling system all dedicated to funky beer. A few of you have visited the upstairs barrel room at Yazoo recently and have seen how tight the space has become. We are making a lot of funky beer which is a great thing! But being upstairs and inside a brewery that mainly produces non sour/wild beers is not the most ideal conditions. We’ve always run the program as careful as possible with dedicated separate equipment and have been very lucky NOT to have had QC issues on the “clean” side. This was however a great way for Linus and I to start this program, but we are out of storage room! Since late fall Linus and I have been looking for an off site location to move our barrels. We’ve known for a while that at a certain point we will need a larger more open space, better work flow and most importantly the best conditions possible for our barrels. Well after searching since late last year for the right place I am very excited to tell you that we signed a lease for a dedicated wild beer location. 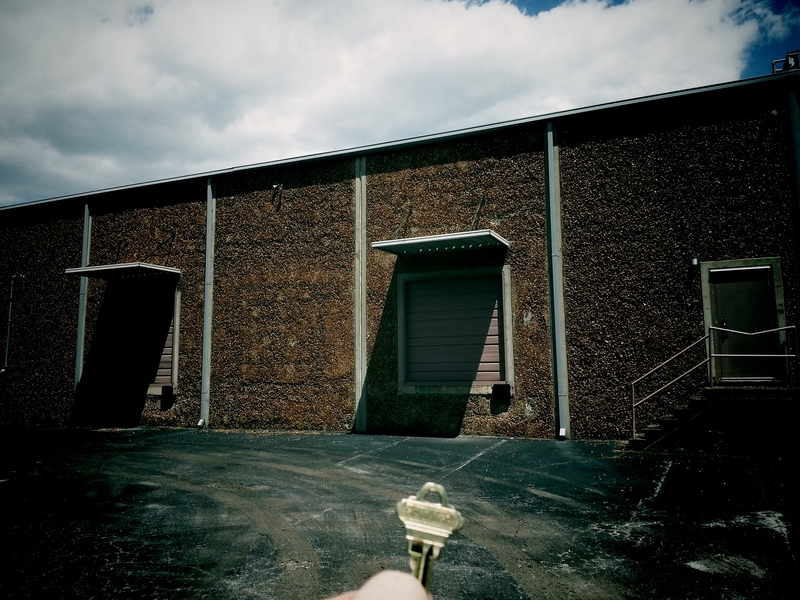 This location is around 7,000 sq feet with loading access and very thick walls. which will give us the temperature stability we need. We will continue to use the 40bbl brewhouse at Yazoo for wort production. Never thought I’d have the keys to something like this! At this time there are no plans to have any retail at this location. The ETF beers will still be available at the taproom on draft and bottle releases will still take place there for the time being. However with our expansion we will have the ability to offer more beer up around Yazoo’s distro area and produce a greater number of bottles. TTB is currently being submitted along with all the other usual paperwork suspects and our build out will begin soon. We still have a good bit of work and paperwork to complete, but this is the first step. Its hard to believe the things I wanted to accomplish with this website have taken it this far. I’m looking forward to showing everyone more pics as the build out takes place. Big thanks to everyone who supported our vision while we built a solid foundation and those fans of ETF. We are laying the funk down in Nashville and it’s going to rock! So will this location have it’s own brewhouse, or will the beers be brewed at the main site and then shipped to the barrel house for aging, blending, packaging? So how will you get the fermented beer from Yazoo to the barrels? Any times you are taking unfermented wort to the barrels?